May 25 is National Tap Dance Day in the USA. This day celebrates tap dancing as an American art form. Congress has presented the idea of National Tap Dance Day on February 7, 1989, and President George H.W. Bush signed it on November 8, 1989. The birthday of Bill “Bojangles” Robinson, a significant American contributor to tap dance, was chosen as the day of the holiday. National Tap Dance Day was celebrated officially only once, when it was introduced. But unofficial celebrations are held today nationwide and even in other counties, as in India, Australia, Japan and Iceland. Different activities are organized at schools and tap dancing studios. Everyone can attend master classes, street dancing flash mobs and concerts. “Shim Sham Shimmy” is one of the popular tap dance routine and it is regarded as tap dance's national anthem. 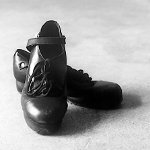 Everyone can learn this dance on National Tap Dance Day, as far many studios send people to the streets to teach passers-by.